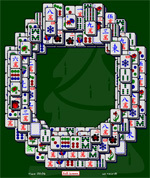 Spread out a little with this Online Mahjong Solitaire.com game in the shape of a Fan. 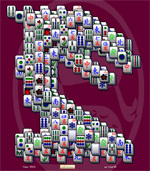 Use the "full screen" button to best see all these mahjong tiles. 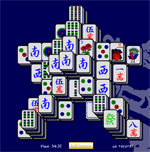 Online Fan Mahjong will test your Mahjong skills and expert eyes. 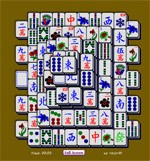 There are a lot of tiles on the board to eliminate in order to win this Online Mahjong Solitaire game. Yet, there are always lots of free tiles, so it's fun and not as hard as some of our other game offerings. On the run? Play us on your flashy new Android and you'll be the talk of the crowd. Just put Online Mahjong Solitaire.com into the browser and you're good to go! no dowload needed, even from your Android!